In March 2017 I set aside 2 weeks of leave and headed south for New Zealand. I can never understand military servicemembers who put themselves into “use or lose” leave situations. Taking time off from work is essential to maintaining a healthy and balanced life! Even if you are deployed for over a year and cannot take leave, you must take a solid amount of time off when you return. I try to keep my leave balance under 30 days at the end of every year. I like working to live, not living to work, but to each their own. 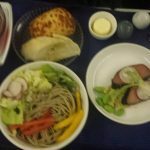 On the way down to NZ I had the chance to fly in the new 777-200 United Polaris Business Class for only 70,000 United Miles, transferred over from Chase Ultimate Rewards. 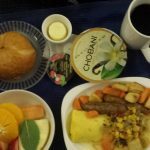 I upgraded my 40,000 mile point fare to a business class fare for only an additional 30,000 Chase UR points. 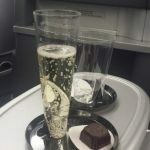 Photos: Champagne and chocolate after boarding, appetizer noodle salad and tuna, main chicken dish, after dinner cheese platter, custom made ice cream sundae cart for dessert, breakfast before landing. It was my first experience in long haul international business class. 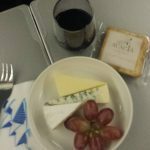 I’m sure if I get to fly Emirates, Singapore, or Etihad I will have a superior experience. 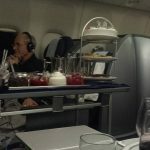 In this case, having a lie flat seat was wonderful for the 13 hour flight and well worth the 30,000 point upgrade. 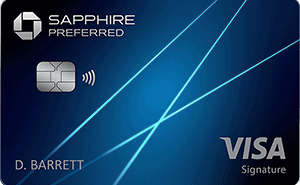 30,000 Ultimate Rewards points have a cash value of $300, can be redeemed for $450 worth of travel on Chase’s travel portal, or I could have purchased a business class ticket outright for $7000. 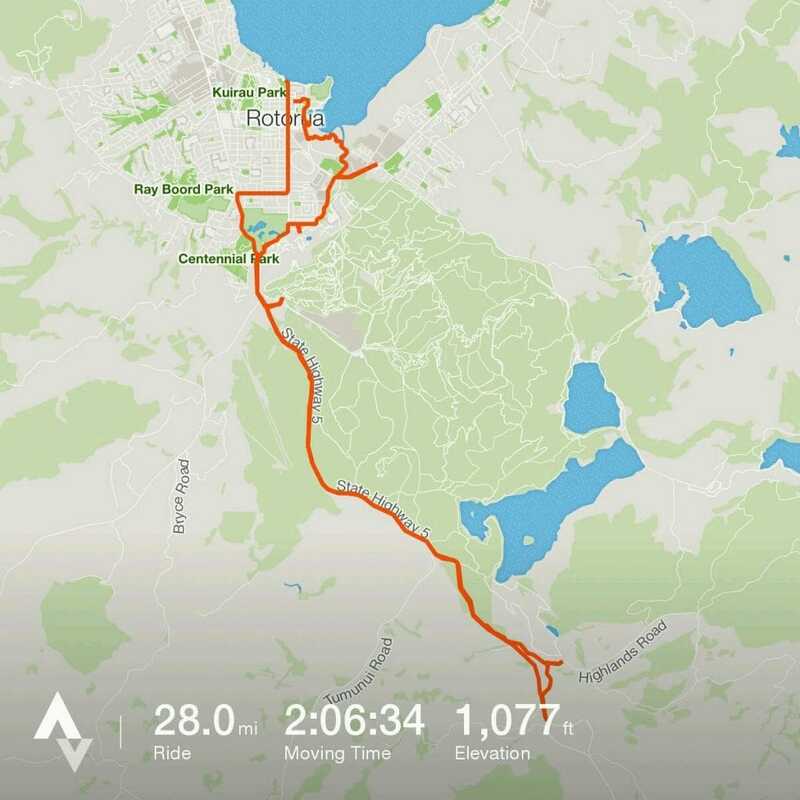 While I was down in New Zealand I had the opportunity to cycle in a few different town on the north island. The weather was fantastic, the food delicious, the terrain challenging, the views stunning, and the people friendly. Oh, and the coffee is the best in the world. I recommend bringing at least 2 liters of water, an energy bar, apple, or similar snack, a spare inner tube, and other cycling accessories in a cycle pack on your bike. Most of the trails and pathways would be fine for a cyclocross bike or mountain bike. Some trails were not paved well enough for a road bike, but I tried using one to the maximum extent possible. I recorded all of my rides on Strava, the best free program (premium paid version also available) I have found to record all my athletic endeavors. It’s a lot of fun to see your progress and results digitally and to see what your friends are doing as well. 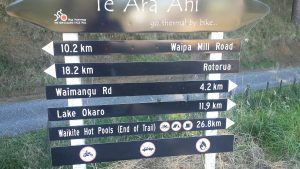 Here are five trails I recorded on Strava while I was down in NZ. This trail took me on a narrow paved concrete path alongside the highway out of Rotorua. Most of the path was paved expect a few sections that were under construction. 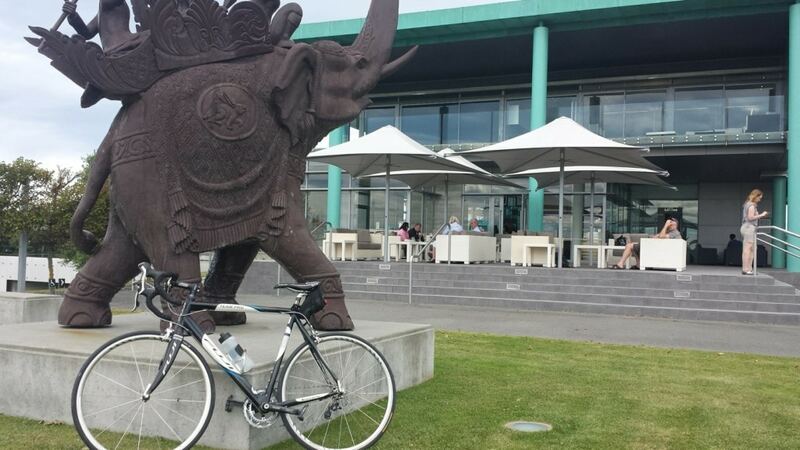 I started by riding from Government Gardens around the geothermal features. I would NOT recommend this if you are on a road bike! This was very much a gravel and rock type of trail, more suited to a cruiser, cyclocross, or mountain bike. If you have a road bike, I recommend starting the ride and parking here, at the mountain biking center. From there it's a left turn away from Rotorua and down the trail. Lots of climbing the first 20kms or so. I turned around when the paved path ends but you could keep going to Taupo on the road. I enjoyed this ride and would recommend it for any level of cyclist and road or mountain bike. This was my biggest day of cycling, with 50 kms in the morning and 52 after lunch. The trails here were beautiful and plentiful in New Zealand wine country. Some good cycling maps can be found here. The route started in Napier at a coffee shop near the i-Site. The paved cycling path runs along the water and has good signage. I got off the trail for a bit near Clive and went on the roads which was a mistake. They were much bumpier and more dangerous, with no shoulder to ride in. My tip is to stick to the trail, even if you are on a road bike and the pavement switches to compacted dirt. 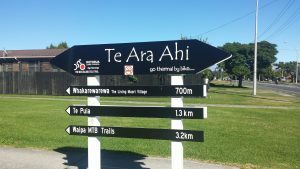 I also went through the Pakowhai Country Park, which was a nice shaded area and had some bike trails running through it. Again, not ideal for road bikes but doable if you let a little air out of the tires. The on road cycling in Hastings was very nice, with wide and clearly defined cycling lanes. Traffic seemed to give me a wide berth as well. Once I turned around it was straight up the trail back to Napier. 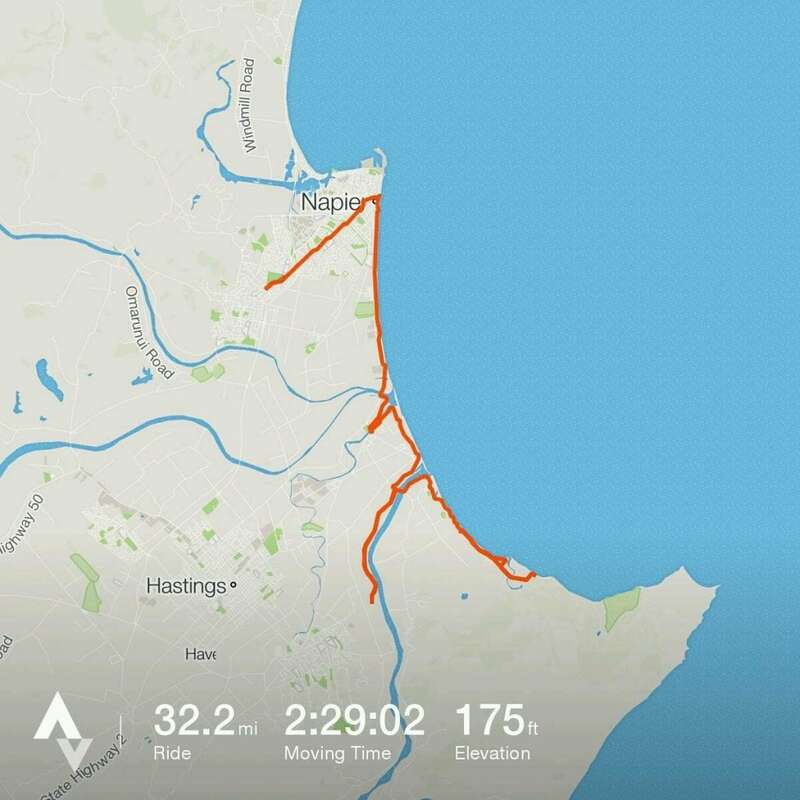 When I got back to the i-Site, I turned down some of the on road cycle trails and headed into the Napier suburbs. I concluded the ride at Onekawa Park. 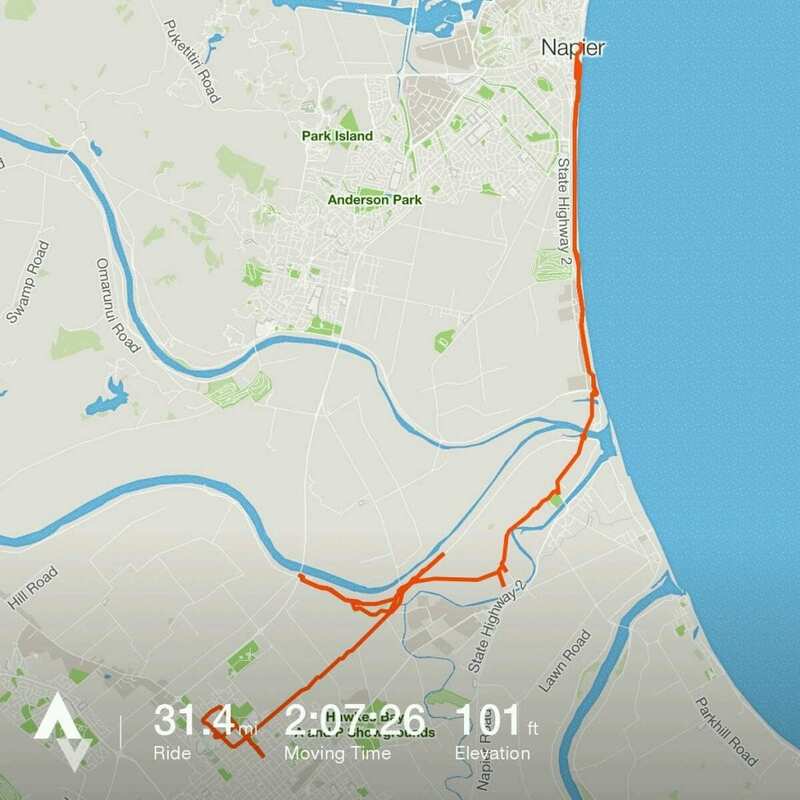 A great day for my first metric century (100 kms)! This was my favorite trail and the one best suited to pure road biking. 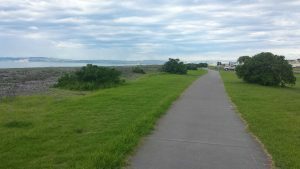 I started on the Kiwi Esplanade in Mangere Bridge and headed northwest towards the city. I crossed the bridge and followed another rider off the cycleway that runs alongside State Highway 20. While I got a great hill climb out of it, I should have just stayed on the cycle path. I continued following the SH20 cyclepath all the way to Sandringham Rd and then turned right and then left to get on Mount Albert Road. After Mount Albert road it was a left onto the SH16 cycleway and boy was that a beauty. Lots of people out cycling, some great views of the city, and all the car free and mostly pedestrian free concrete you could ask for. I turned around at Lincoln Road and headed back to the CBD, eventually turning around at the waterfront and heading south on Manukau Rd Route 12 to get back to my car on the Kiwi Esplanade. 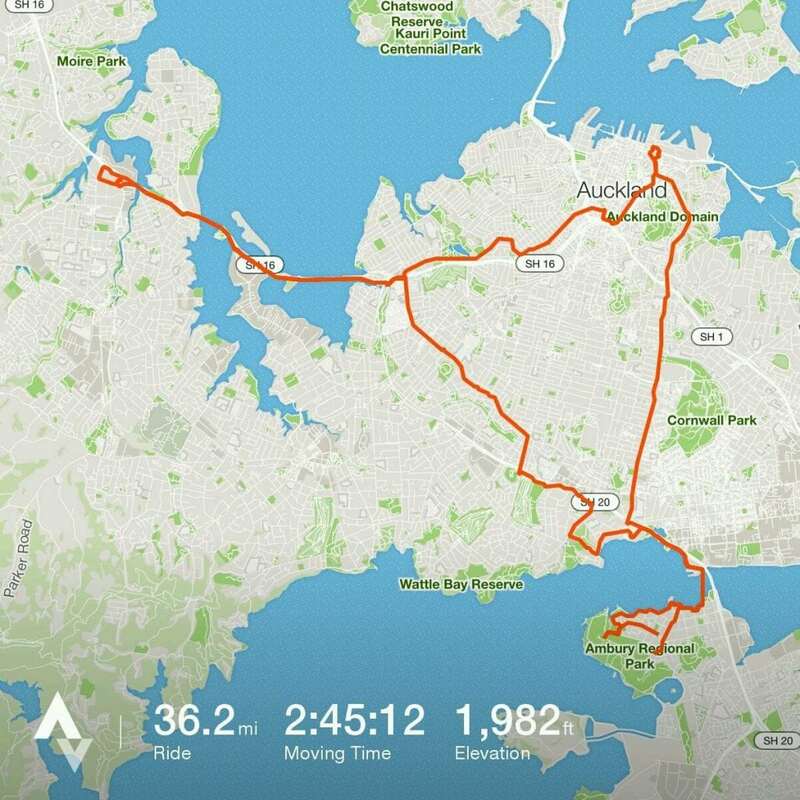 A great ride with some monster hills in Auckland. Mountain bikes only for this one. I rented a bike at the Cycle Center in Upper Hutt. Only NZD$20 for 2 hours. 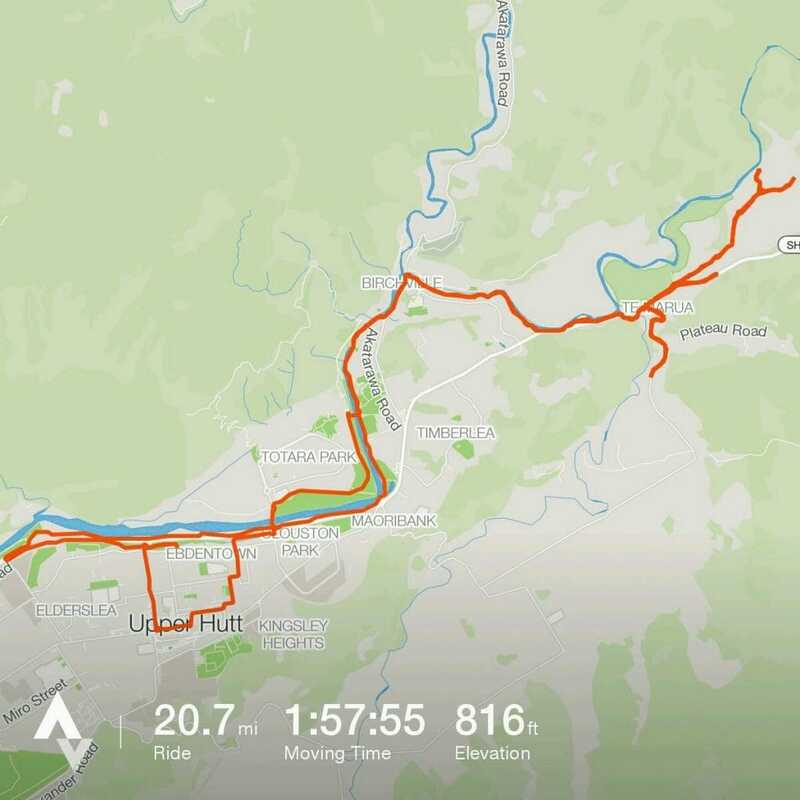 I started in Upper Hutt and made my way along the river towards the Stuart Macaskill lakes. This was part of the Rumtaka Cycle Trail, which goes much further than I did. I would like to do the whole section one day. I did not find this trail to be very well marked so proceed slowly and with caution. Double back if you haven't seen a sign post for 5 minutes or so. A good ride, mostly off the road and of moderate difficulty. Most sections you could do with a hybrid bike, but a mountain bike will serve you well on this one. Not road bike recommended. Another mountain biking day. Started by renting a mountain bike for $40 for 4 hours at waterfront bike shop. Went up Mount Victoria, quite steep in some parts. Came back down and rode around the city for a bit. Could have spent much more time on Mount Victoria exploring the various trails. I found the mountain biking on Mount Vic the most difficult all trip. It was definitely not for your casual rider. I had a great time cycling around the North Island and can't wait to get back to New Zealand some day soon. 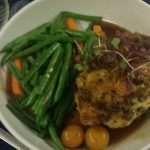 On the way back to the States I enjoyed the Emperor Lounge in Auckland Airports International Terminal. You can read my review for that here next week. Cycling is one of those activities I can see myself doing for a long time. It's a relatively cheap hobby/sport, has great health benefits, allows you to enjoy nature, and can be done while travelling with a little ingenuity. 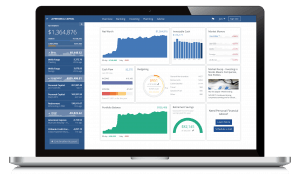 It's on my list of things to do if I decide to retire early after reaching financial independence. Looks like an awesome trip! Hope to enjoy New Zealand someday. The winery sounds exquisite!